We love spin art! A few of our favorite spin art activities include spin art snowflakes and spin art wreaths. 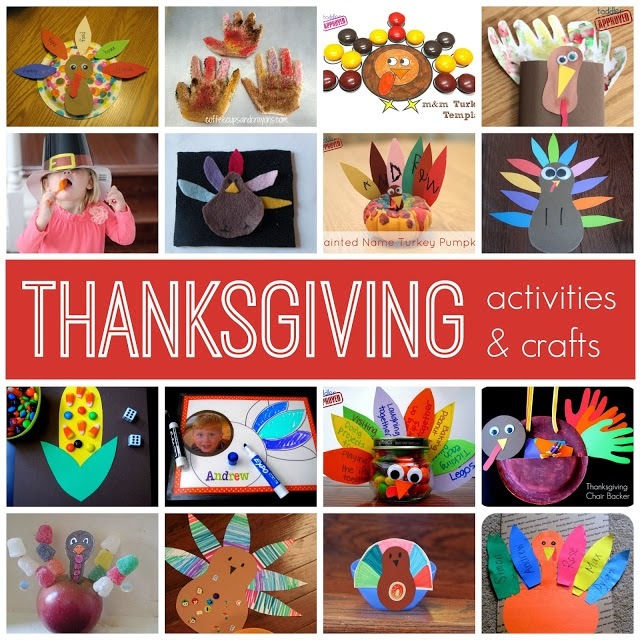 The other day we did two very simple turkey-themed spin art activities that would be perfect to do if you have little guests coming over for Thanksgiving. 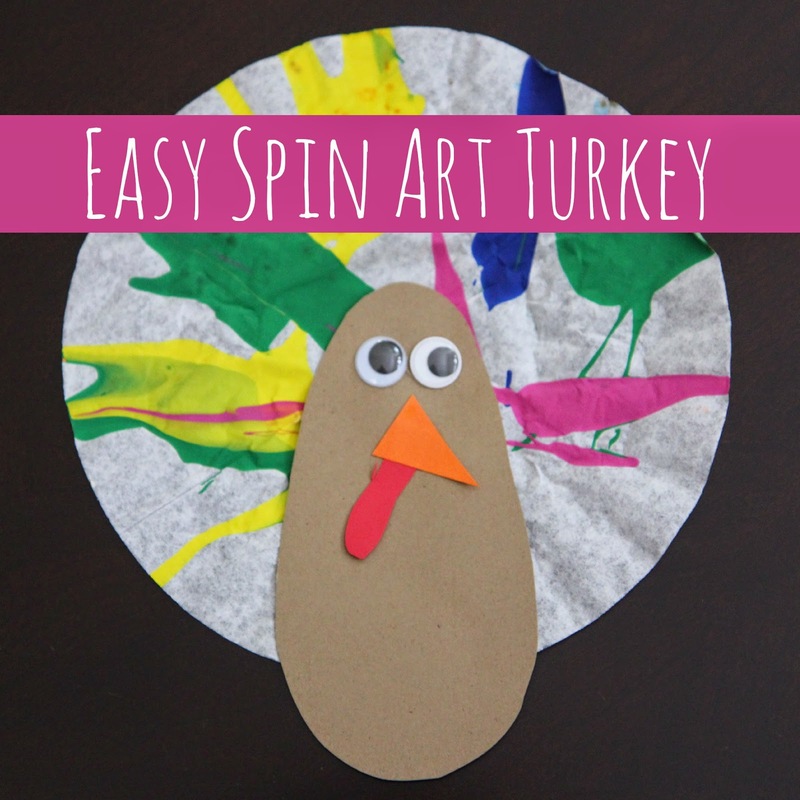 In this post I am sharing our easy spin art turkey craft and you can go here to check out our easy toddler turkey craft with coffee filters that we shared earlier. My toddler loves pressing the salad spinner down again and again, so this activity is perfect for him. To get started you just put a coffee filter inside the salad spinner, drop in some paint, and get it spinning! Sometimes midway through we'll add another squirt of paint. Once we're done we'll let the coffee filters dry and then we glue on the turkey body and face similar to how we created our dot marker coffee filter turkeys! As my kids like to say, it is "easy peasy lemon squeezy" to make these! 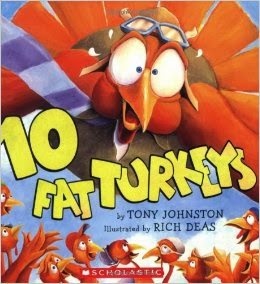 Ten Fat Turkeys by Tony Johnston is too funny. Ten Thankful Turkeys by Angela Muse is another sweet book.